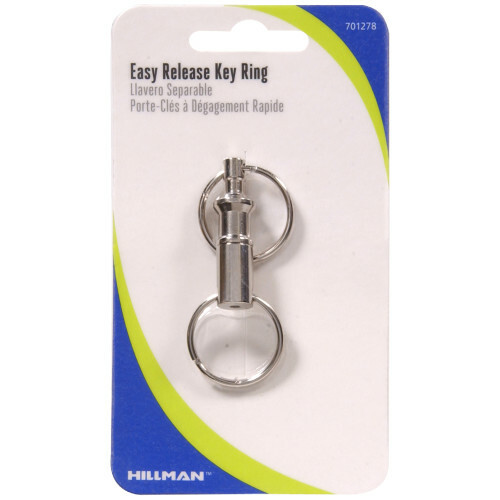 Easy Release Key Ring allows separation of keys for quick and easy identification. 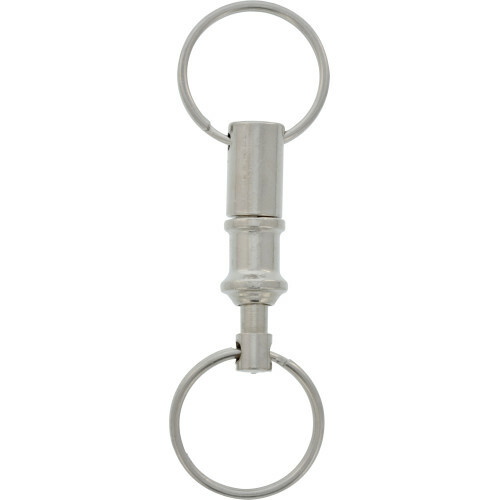 Features a push action trigger for pull release. 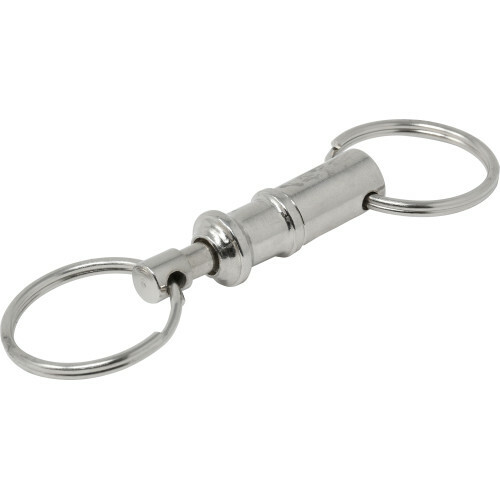 Can be attached to a bag or purse. Two 1" spring steel split rings. Stainless Steel.